Doctors, nurses, and other medical professionals play important roles in the world of healthcare. They do extraordinary things that save lives for some, improve the quality of life for others, and solve complex medical problems and challenges every single day. But there’s another set of medical professionals also making an everyday impact, largely behind the scenes: healthcare engineers. 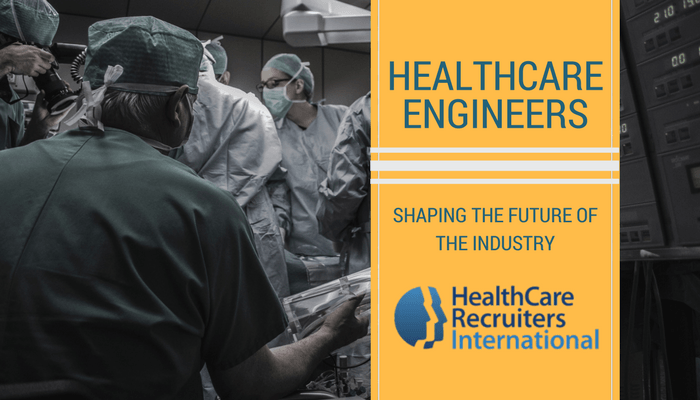 Healthcare is the world’s fastest growing industry, and healthcare engineers are in demand—especially biomedical engineers, mechanical engineers, manufacturing engineers, systems engineers, and software engineers. Engineers in these specific disciplines have an opportunity to create solutions that diagnose, prevent, treat, and manage illnesses. At a deeper level, healthcare engineers are working behind the scenes, working together with research and development teams, data science teams, and information technology departments to create life-changing medical solutions and solve complex medical problems. Biomedical, mechanical and manufacturing engineers are working to build even more technically advanced or cost-effective medical devices and equipment, while systems and software engineers are working on solutions to improve healthcare systems. This has created even more specialties and demand for engineers. For example, several universities now offer Masters of Science in Engineering programs with a specialty in data science. One area where many engineers, especially in the healthcare field, can move up in their profession is by showing leadership skills and the ability to communicate with other organization leaders—CEOs, decision makers, or members of a healthcare organizations board of directors. As engineers work on complex projects, someone from the engineering team will need to be able to share project timelines, reports, and updates in a way that doesn’t require an audience to understand the technical or medical jargon required within an engineering team. While data science, analytics, artificial intelligence, machine learning, and even robotics are going to drive healthcare engineering projects well into the future, those who have the engineering skills, along with communication skills to work with diverse teams within a healthcare organization, will be the ones who can make advancements in the medical field as well as advancements in their career. Now, more than ever, engineers must work together with cross-functional teams to drive change. In addition to helping solve complex challenges that can impact the world, engineers can also go into specialty roles within their field of healthcare to make even more of an impact. It’s an exciting time, full of opportunity, which is why today’s healthcare engineer truly is making an impact that can shape the future of healthcare. Need a new hire for your team or organization, we are the healthcare industry’s first choice for top talent.